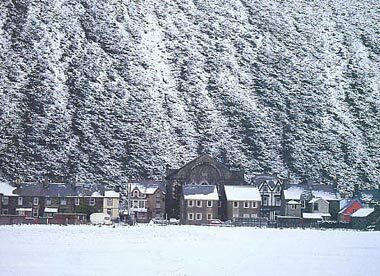 Blaenau Ffestiniog: Accommodation, Attractions, Activities, Going Out, Shopping, Things to Do, Places of Interest, Outdoors, Blaenau Ffestiniog Holidays, Blaenau Ffestiniog Area Location, North Wales. Blaenau Ffestiniog will surprise you with hidden lakes, old mines, waterfalls, castles and wildlife. It definitely retains a wealth of history and folklore. You can explore the surroundings by challenging walks, long or short, over moors, mountains, fields, forests or coastlines. Nice choice accommodation - B&Bs, private houses, inns, small hotels, guest houses, all worth a good look. Ideal place for those who prefers outdoors and nature. 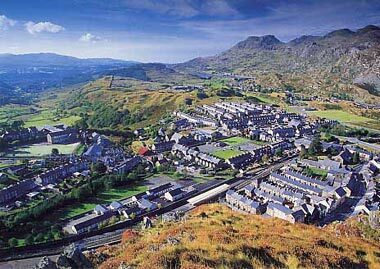 Once the capital of the slate quarrying industry, Blaenau Ffestiniog has been turned into a major tourist attraction. At Llechwedd Slate Caverns you can take the Miner's Tramway into the side of the mountain and into a succession of spectacular chambers where a miner describes the working of the mine. Alternatively, you can ride down the underground cliff railway into the Deep Mine, and experience the audio and visual presentation as a miner from long ago takes you through the chambers. Ffestiniog Power Station - spectacular location amongst mountain lakes. 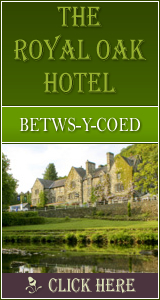 Queen's Hotel Accommodation in Snowdonia National Park. Bryn Elltyd Guest House Snowdonia, North Wales. Cae Du Mountainside farmhouse in the centre of Snowdonia. Facilities, Local Attractions, Walking. Y Festri Holiday Accommodation, Activities, Walking, Tourist Attractions.